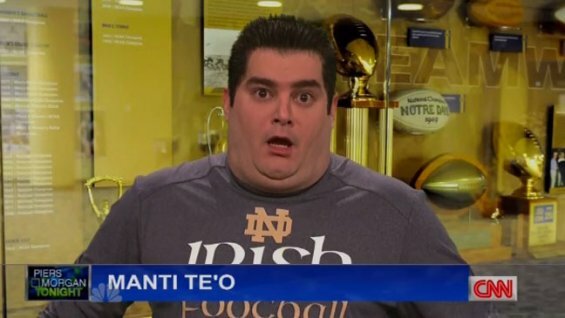 Hernandez Still Incarcerated While Manti Te’o Walks Streets – Expanding your culture, one touch at a time. Anyway, Aaron Hernandez remains in prison (working short routes with convicted serial rapists and recreational marijuana smokers) while Manti Te’o gets his green card renewed every month. They just stamp it like a piece of mail, as if he’s done nothing wrong and he’s still welcome in this country. Am I missing something- two non-English speakers with similar backgrounds commit virtually identical crimes and receive two completely different punishments? Since when does our court system favor polytheistic Samoans with ponytails and Kumbaya tattoos? Which amendment is that, FDR? It’s horseshit and we all know that.